When we think of MINI vehicles, we usually think of sporty driving, compact dimensions and unrivaled handling. 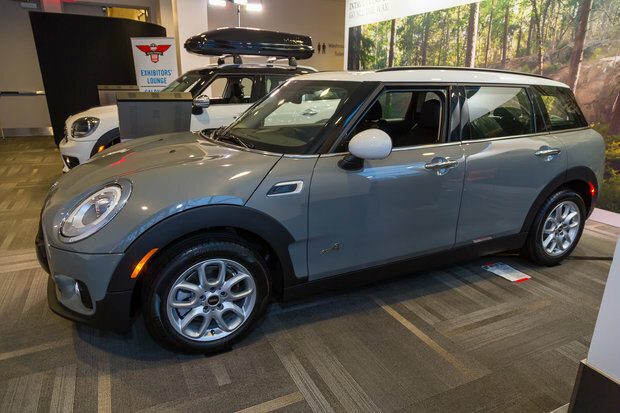 That said, it is possible to have all this in addition to a spacious cockpit and versatile cargo area if one opts for the 2017 Mini Clubman that you can discover today at the Ottawa Auto Show. The 2017 Mini Clubman fits in between the MINI Countryman, a subcompact SUV, and the Mini Cooper 5-door. The Clubman also benefits from an optional and efficient all-wheel drive system that allows it to face all conditions with confidence. Two engines are offered in the 2017 Mini Clubman. The first is a three-cylinder, 1.5-liter turbocharged engine that develops 134 horsepower while the second engine, powering the Clubman S, is a 2.0-liter four-cylinder engine that develops 189 horsepower. Powerful, these engines are also fuel-efficient in addition to offering a stop-start mode that cuts off the engine when the vehicle is stopped in order to save fuel. And if you want even more power, there is the MINI Clubman ALL4 John Cooper Works that offers an even more powerful 228-horsepower engine. Offering space for up to 5 passengers, the new Clubman also offers a features a spacious cargo area that can carry large objects without difficulty. Indeed, the Clubman offers between 360 liters and 1,250 liters of cargo space. In addition to being spacious and versatile, the new 2017 Mini Clubman offers a wealth of equipment and several safety features including 8 standard airbags. 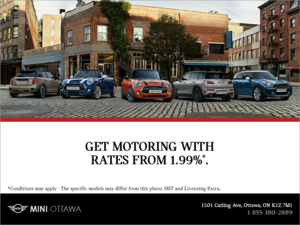 To learn more about the new 2017 Mini Clubman, come to the Ottawa Auto Show today!